Little Pixie Productions and Relative Pitch Opera are very fortunate to collaborate with highly regarded industry creatives in music, sound, set, lighting, graphic and media design. Click the icons to find out who we are currently working with. We are delighted to announce that in March 2011, Emma Cunniffe became the first patron of Little Pixie Productions. Emma has appeared in many television and stage productions including Nora in the Library Theatre Company production of A Doll’s House at The Lowry, Isabella in Edward II at the Royal Exchange Theatre and in David Auburn’s Pulitzer Prize and Tony Award winning play Proof, at The Menier Chocolate Factory in London. 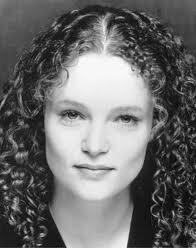 She was the winner of the TMA Award for Best Actress in a Supporting Role for her performance in The Master Builder, English Touring Theatre. Also a leading TV actor she starred as Emma Quinlan in the BBC’s mini-series The Lakes. Emma’s other starring roles in hit TV shows include All the King’s Men, Clocking Off, Flesh and Blood, in which she co-starred alongside Christopher Eccleston and The Whistle-Blower, in which her co-stars were Amanda Burton and Neil Pearson. She also played Constanze, the wife of Mozart in The Genius of Mozart, the BBC’s acclaimed docu-drama on the life of Wolfgang Amadeus Mozart. Other television roles include Doctor Who, channel 4's drama Southcliffe and an appearance in Coronation Street as DS Hawthorn. Emma is a regular voice over artist and is currently the voice of Dream Beds and can also be heard on Radio 3 and 4. Emma performed the role of Mrs Darling in Wendy and Peter Pan, for the Royal Shakespeare Company and recently played the title role in Queen Anne at the Swan Theatre, Stratford Upon Avon and The Haymarket Theatre in London's West End, also for the RSC. "I am very proud to be the Patron of Little Pixie Productions. Their work is wonderfully creative and innovative and brings lots of joy to the children who watch the shows...and their parents! Rebecca and her team create magical worlds full of colourful characters and adventure. It's great that the children are encouraged to interact and it's clear to see from the delight on their faces how much they enjoy the shows. Spellbinding stories,brilliantly performed and wonderfully designed. Fantastic fun in the theatre!"